From his early exposure to Cubism and Fauvism, Hans Hoffman evolved through a lifetime of experimenting in painting to an extraordinarily inventive approach to creating art that is often as relevant today as it was when it was created in the 1960s. Seeing his evolution in the large exhibition, ”Hans Hoffman - The Nature of Abstraction” at BAMPFA, Berkeley, reinforces my own belief in each artist’s need, and capacity, to remain open and flexible to growth and change. Every time an artist has to interact with a gallery owner, a competition judge, a collector or the public, there are some implicit questions lurking at the back of the artist's mind: is my art individual enough, does it stand out as different from the art created by others, will it retain my hallmark and stamp? Every choice made in creating a work of art carries those implications and questions, even if we don't consciously think about them as we work. Willy-nilly, the work of art will reflect who the artist is, even in commissioned work. Works of art are about things, people and places seen and remembered, with the resultant interpretation of what the eyes have observed, and the brain imagined, thought about and interpreted. Thus each artist, as an individual, can develop that unique voice. As Yeoh Guan Yong, of Shanghai's Super Nature Design, said, "Art is about finding individual voices and searching one's own heart and soul." To do this requires an artist to be lucid about him or herself, honest and observant, in fact. That little inner voice needs to be respected, and the ability to do this only comes with experience and active effort. I was thinking about this development that every artist has to achieve as I was reading a wonderful new biography about Titian, Titian: His Lifeby Sheila Hale. She brings out the fact that this quiet, elegantly behaved artist was observant and dedicated in his art, adapting examples from other artists to enrich and improve his own art, yet remaining very much in his own idiom as he developed into the great artist that he became. 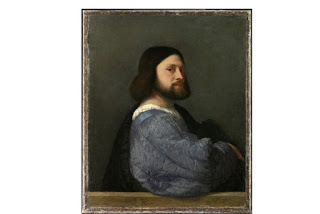 Titian's portraits, as in the examples above,with their powerful simplicity and psychological penetration, also demonstrate the other maxim that we all need to remember, as practising artists: "Simple is not always best, but the best is always simple." Only when we refine and refine our art to be true unto ourselves can we hope to achieve a voice that others can recognise as ours and ours alone. That is a lifetime occupation! When I was talking to an artist friend recently, she commented on her diffidence about drawing. She said that she had difficulty perceiving things spatially sufficiently accurately to draw them. I reminded her that each artist's eye is personal, and that each of us perceives things in a different fashion. There is no one correct way to organise space in art, especially today. As I was talking to her, I kept thinking of the Fauves, and the recent art treasures that are coming to auction as a result of famous art dealer Amboise Vollard's personal art collection being released from its long-held Société Générale safety deposit box, where it lay from World War II until 1979. Sothebys is to auction off famous, brilliantly vibrant paintings such as André Derain's Arbres à Collioure, one of his most emblematic paintings. It is the perfect example of the artist's eye being individual, bold and really unique. Organising space can be highly original, as Derain showed. The trees in this 1905 painting are patterned, with pure colours juxtaposed to convey the pulsating, brilliant Mediterranean light. The landscape is pure energy, the space organised for maximum dynamic impact. 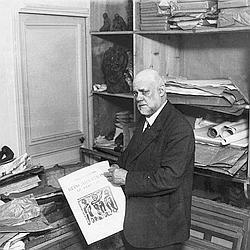 Indeed, Derain himself remarked, "Le Fauvisme a été pour nous l'épreuve du feu. Les couleurs devenaient des cartouches de dynamite; elles devaient décharger de la lumière." (Fauvism was the trial by fire for us. Colours became charges of dynamite; they had to explode with light.) The Fauvists needed to have an eye that was radically different, for instance, from that of the Impressionists who had proceeded them. Perhaps Odilon Redon summed up the "artist's eye" situation the most eloquently. He said, "The artist will always be a special, isolated, solitary agent with an innate sense of organising matter." That means that each of us, as an artist, basically has license to organise our art as we deem fit on the painting or drawing surface. That is both a luxury and a challenge! Last night, the 2010 Savannah Music Festival opened with a wonderful celebration. The Atlanta Symphony Orchestra, directed by Robert Spano, played Tchaikovsky's Symphony No. 5 - lifting hearts and expanding minds. The second half of the programme opened with a flutter of anticipation because Lang Lang, slender and youthful, came out on stage to play Chopin's Piano Concerto No. 2 in F minor. As he played, I was fascinated at his butterfly approach to the delicacy and complexity of Chopin's ravishingly beautiful music. His lightness of touch and sensitivity to the nuances in the music made me think back to other pianists whom I have heard interpret this Concerto. Lang Lang has a very different approach, I decided, and his individualistic approach made me feel that Chopin would be very gratified at this interpretation. 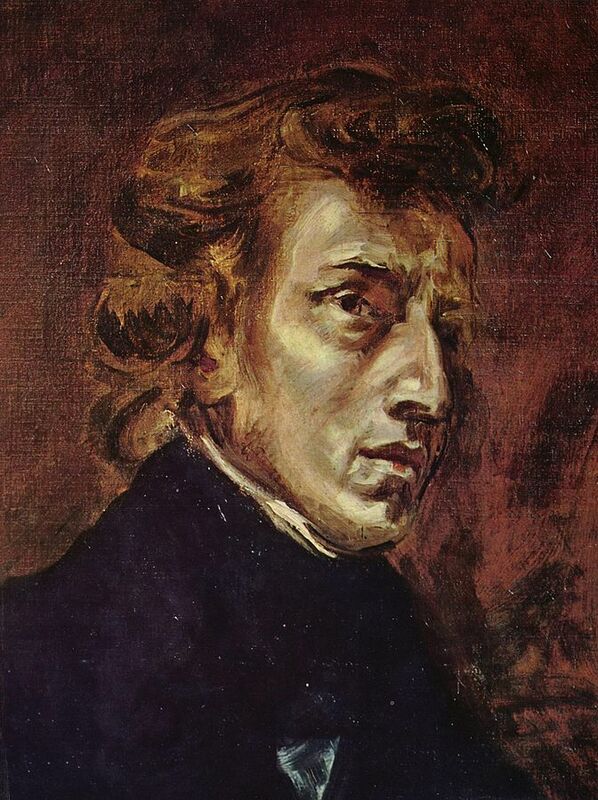 Essentially music suitable for a younger pianist, I would argue, this Concerto allowed Lang Lang to show his own understanding of Chopin's musical record of his infatuation for a fellow student at the Warsaw Conservatory, Constantia Gladkowska. As I listened with delight to the music, I could not help thinking about the aspects of any artist's individualism, in any discipline. A musician has to hew to the notes written by the composer, but the interpretation is his or her own in terms of emotion infused into those notes, in conjunction with the other musicians and orchestra director. A visual artist has another task in terms of defining individualism: first the concept and execution of an artwork has to come from within that artist. Only after creation of the piece of art can a viewer appreciate the individuality of that piece and hence the hallmark of the artist. Perhaps, in fact, the visual artist has the easier task, for the musician has to work within much narrower confines to define his or her essential artistry. Lang Lang's wonderful technical and interpretive skills, complemented by the Atlanta Symphony Orchestra's superb playing, allowed Savannah to glory in great musical beauty last night. I was in a waiting room yesterday, idly leafing though a magazine which detailed the 2006 Henri Rousseau exhibition at the National Gallery of Art. As I looked at the small reproductions of some of his paintings, memories came flooding back of the first time I had met his work. I was a young girl, working and studying in Paris, and assuaging my homesickness for Africa by spending many hours in the Louvre, the Jeu de Paume, the Musée de Cluny, etc. One day, at the Jeu de Paume, I rounded a corner and came face to face with one of Rousseau's famed Jungle paintings - I am not sure now which one. I was dumbfounded. The painting was so unlike anything else that I was seeing on museum walls; it was seemingly tropical and yet did not ring true at all to me, since I was from the Tropics. The flat, vibrant depiction of these huge, urgent leaves and flowers, growing on strange plants and trees came across as totally hallucinatory. The monkeys swinging from the trees, and other touches of "exotica" were almost perverse in their nuances. The painting left me intrigued. I learned more in due course about this late-blooming artist, Henri Rousseau, who was born in 1844 and was just ahead in age of another self-taught artist, Paul Gauguin, who embraced the tropics in even more extraordinary fashion. Henri Rousseau had the sobriquet, Le Douanier, added because his main employment, after the military and sundry other activities, was as a minor clerk in the local Customs office. His fellow Customs officials must have been a supportive crowd as apparently they gave him duties which allowed him to devote a lot of time to his art. Despite the recurring theme of tropical vegetation in many paintings, Rousseau never travelled to the tropics: his sources for the plants were the botanical gardens in Paris, especially the Jardin des Plantes. Another large body of work in his very varied opus was paintings of urban-suburban landscapes, complete with chimneys, the Eiffel Tower, streets and tree-lined parks. Many of these paintings were based on small studies and drawings he did from real life - one of the early plein air painters, in fact. His approach to painting was that of a true Outsider, for he did not follow his contemporaries - Manet, Monet, Cézanne, Seurat, etc. - in their perspective, their realistic depictions, their use of light or even their use of paint. He painted in a flat, decorative fashion, often ignoring traditional perspective, with a Naif optic on subject matter and presentation. Nonetheless, he was eventually recognised as an artist with a great deal of charm and a wonderful imagination, offering a very different version of art. This was despite the long years of derision which greeted the works he submitted to the Salon des Indépendants from 1886 onwards. Henri Toulouse-Lautrec and Edgard Degas began to see in his work a move away from the prevailing naturalism in art, and by the early part of the 20th century, Picasso, Signac and others were showing enthusiasm for his work. Dreamlike worlds, with tigers, serpents, monkeys and buffalo peering though the "jungle", alternate with somewhat airless urban landscapes, portraits, still life studies and other pieces which do indeed prefigure Surrealism. Catalogue images, early photos, books - everything was grist to Rousseau's mill to mix with his everyday observations in these imaginative compositions. If you want to spend time in a 19th century version of an alternate universe, albeit one which is the product of a fertile imagination allied to a direct vision, then look at Henri Le Douanier Rousseau's art. He led the way for so many later artistic trends - and, most importantly, he believed in himself even in the face of derision and rejection. He just kept on painting, and by the end of his life, in 1910, he knew much success and esteem. For anyone, not just an artist, standing out from the crowd is increasingly difficult. Too many people, often crowded together in busy places, mostly wearing the same types of clothes, all buyers of the same consumer goods. No wonder artists need to dream up really unusual angles to get noticed and become successful. The same is true, really, of anyone trying to do anything, especially in the creative world. An interesting commentary on the different ways people try to distinguish themselves in society is an exhibition now showing at La Salle University Art Museum in Philadelphia entitled Second Skin. 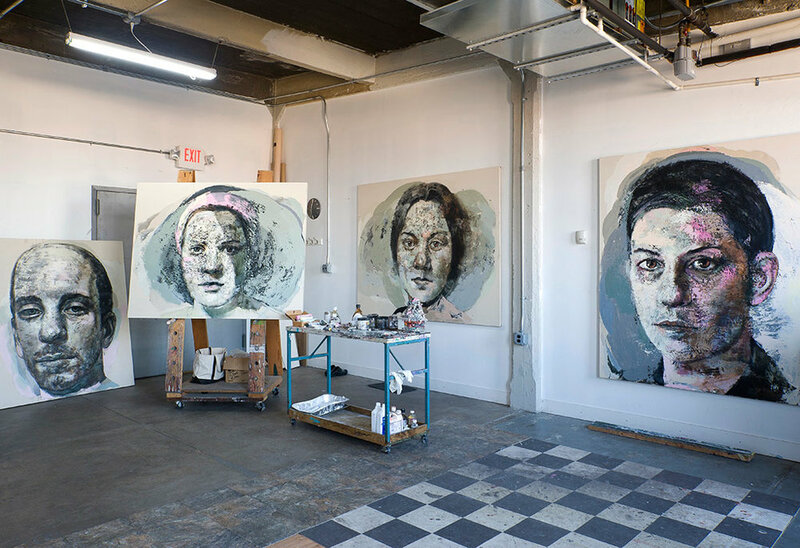 The artist, Susan Moore, does drawings of people in faint charcoal, but then paints or draws in ink bold tattoos, burns or scars on these body images. She is highlighting how people are rebelling against our increasingly grey and uniform world by trying to distinguish themselves, to give themselves a clear identity, by using, for instance, tattoos. Moore also underscores the ironic fact that the more people use tattoos, themselves a real mish-mash of images taken from a wide variety of sources, the more they actually rejoin the common crowd from whom they were seeking to distinguish themselves. In fact, they are rather following the tribal practices of scarification on face or body to proclaim their membership of a tribe or group, submerging personal identity into that of a larger group. Susan Moore certainly found a thought-provoking theme for her exhibition of drawings, as well as a very skillful way to distinguish herself with her dramatic drawings. Yesterday, I mused about the role of drawing in defining one's identity as an artist. Unlike painting, with its more elaborate statement and stage-like set-up, drawing allows an artist to explore and lay out all sorts of different ideas. There is often more flexibility and honesty shown in a drawing, which reveals the artist more readily. Daring to draw and reveal an inner core requires an act of trust for the artist. Trust that one's own voice will come through and show the artist to be an individual, with a personal style. Basically a high wire act on many occasions, but worth the effort. The more one draws, the more one learns to trust that eye coordination with hand, the inner voice which dictates which marks to make, what to include, what to omit. Drawing marathons help too - if you push yourself beyond the limit, as in any other discipline, you discover new strengths, new horizons as an artist. You refine who you are as a draughtsman and, by extension, who you are as an artist. Defining yourself as an artist is a lifelong endeavour. Each of us aspires to have a singular voice, a hallmark style and an artistic identity unlike anyone else. Achieving one's own style as an artist is complex, on-going and both technical and psychological. First of all, I believe, it has to do with defining who you are as a person and what you want to say, overall, through your art. It also has to do with hanging on to your belief in yourself, being willing always to learn and adapt, but nonetheless, being true to your own core identity. Sometimes that can be hard, especially when tough economic times demand lots of compromises. One tool which I find very useful to help me define my identity is drawing. Whether it is with charcoal, graphite, pen and ink, conte crayon, chalk or silverpoint, it does not matter. It is the act of drawing that helps strip things down to bare bones, to try to get at the core of what I am trying to say. In other words, to define my art and thus to define me as an artist. Drawing is a tool with two rather different uses. The first is to make a finished drawing, a work of art that stands alone. The second is to draw small, quick studies for composition, distribution of lights and darks, etc. in preparation for a painting. Drawing, unlike painting, is a direct, spontaneous act, indicative of emotions and thoughts in fresh and unadorned fashion. Many of the great Old Master drawings will leave errors and show corrections - a new line of a cheekbone on top of one that was off in proportion, an arm which has changed position slightly since the first line was put down, a tangle of lines where the artist was thinking of how to depict something or even blobs of ink where the pen "misbehaved". 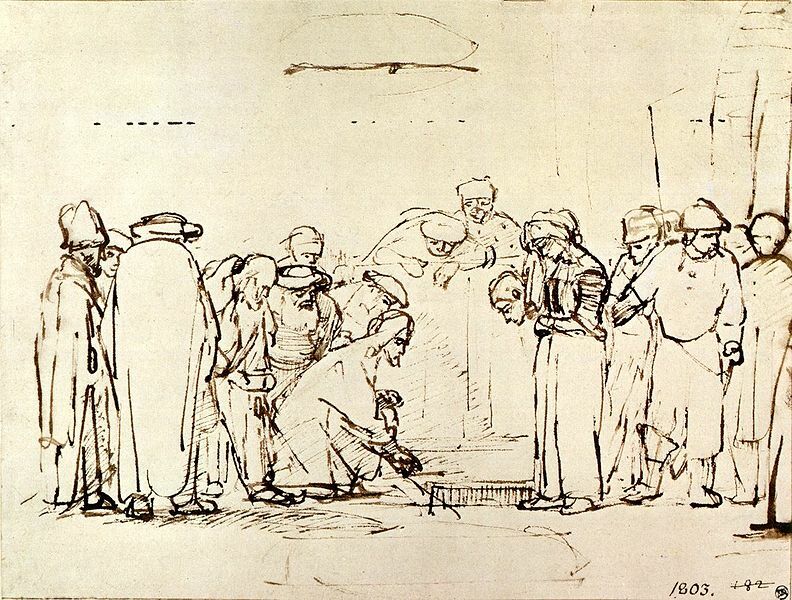 Rembrandt had many a tussle with his pens and ink but very frequently, that drawing could be readily recognised as one done by Rembrandt. Try using drawing, any drawing, as a pathway to defining more clearly who you are as an artist. It is often a surprising and enlightening exercise - and fun as well.